Prepared and packaged ingredients can be used to make our ‘from scratch’ creations. We generally buy flour rather than raise our own wheat, harvest and mill it to make flour. AS well, frozen vegetable selections can be used for convenience, and to provide ingredients otherwise out of season. 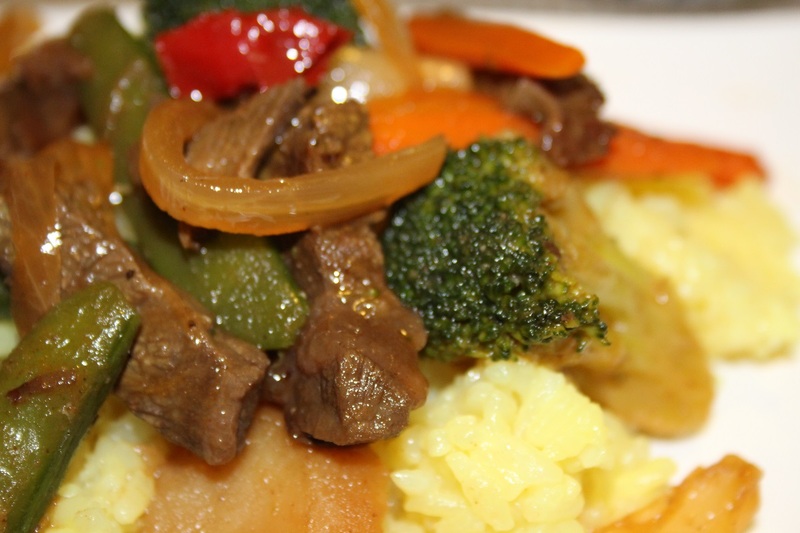 Gloria uses a frozen stir fry vegetable mix and its included sauce packet to make a delicious beef stir fry. Add a bit of rice and it is a complete meal. During my last visit to Alaska, I was expecting Jim and Gloria Kocsis for a visit. I received a telephone call. “Don’t eat” was the message. ”We are bringing lunch.” Gloria had prepared the stir fry and some rice at home and all it needed was a quick warm-up on the stove and lunch was ready. It was a big batch and I was lucky. I got to keep the leftovers. Cut the beef cross grain into the desired shape; either bite-sized morsels or thin strips. Season with salt and pepper. 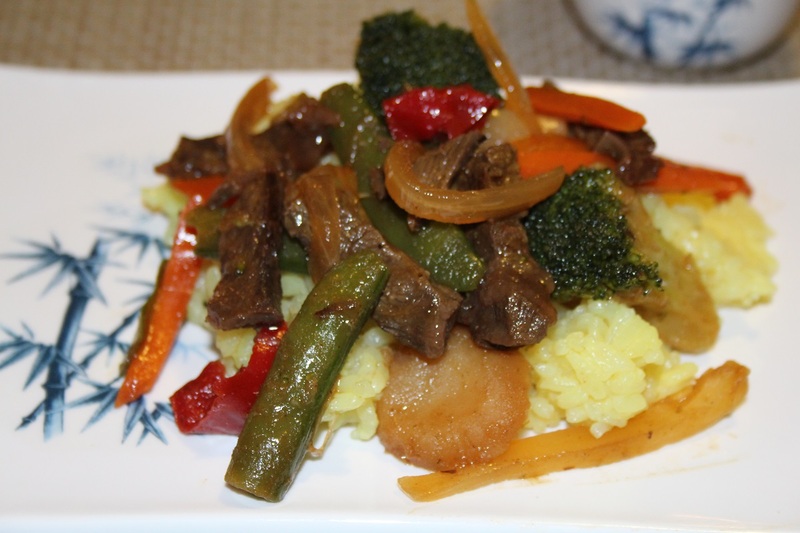 If you are using the enclosed stir fry sauce, prepare according to package directions and set aside; or measure out the amount of your favorite sauce you are going to use. Add a tablespoon of oil to a wok or large frying pan and heat over medium heat. If you wish you can flavor the oil with some garlic, onion or ginger; stir fry for a few minutes until aromatic than add the beef. Otherwise, add the beef to the hot oil and stir fry until browned but still slightly pink in the center. Remove the beef to a plate and set aside. Heat an additional 1 or 2 tablespoons of oil in the same wok or skillet over medium heat. Stir frozen vegetables until just tender, about 5 to 7 minutes. 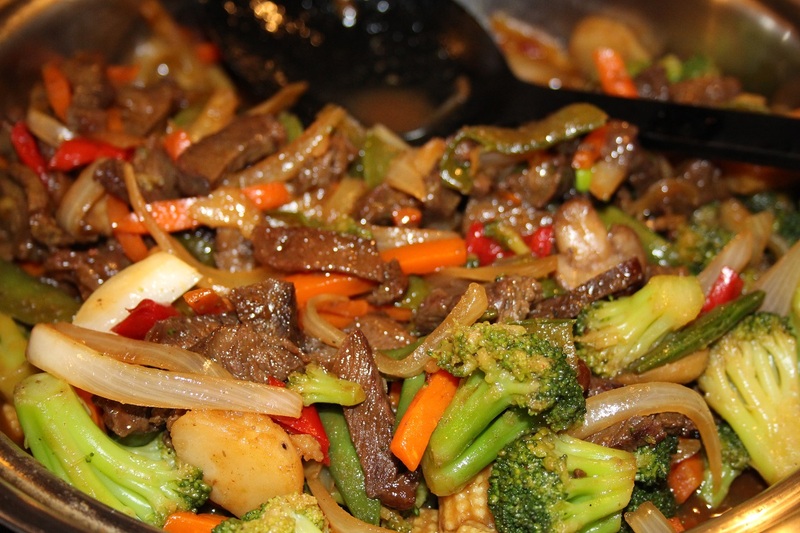 Return the reserved beef back into the pan and stir fry to reheat. Add the reserved stir fry sauce and cook and stir until heated through and thickened the desired amount. Serve over hot steamed rice or noodles of choice.